This looks like something I should give a bash!! I don’t know about the rest of the world but in Australia a classic ‘bloke’ meal is Chicken Parmigiana (aka Parmi) and is regularly served in pubs across our great nation. 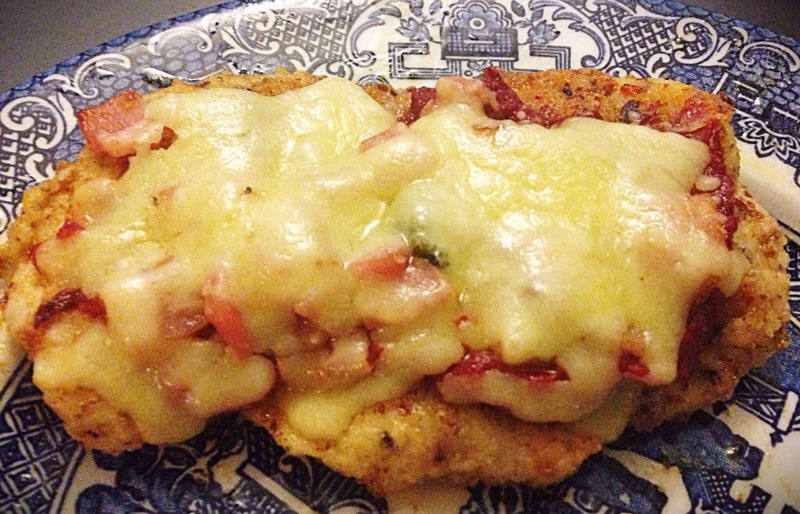 Tonight I arrived home to an LCHF Chicken Parmi and baked veg meal. The organic chicken breast had been flattened, egg washed, and then ‘breaded’ in a mix of almond meal, coconut flour, mixed herbs, cinnamon, cayenne pepper, smoked paprika, garlic powder and salt and pepper. The schnitzels were then pan fried in oil before being topped with a rich tomato sauce, crispy streaky bacon and grated cheese. 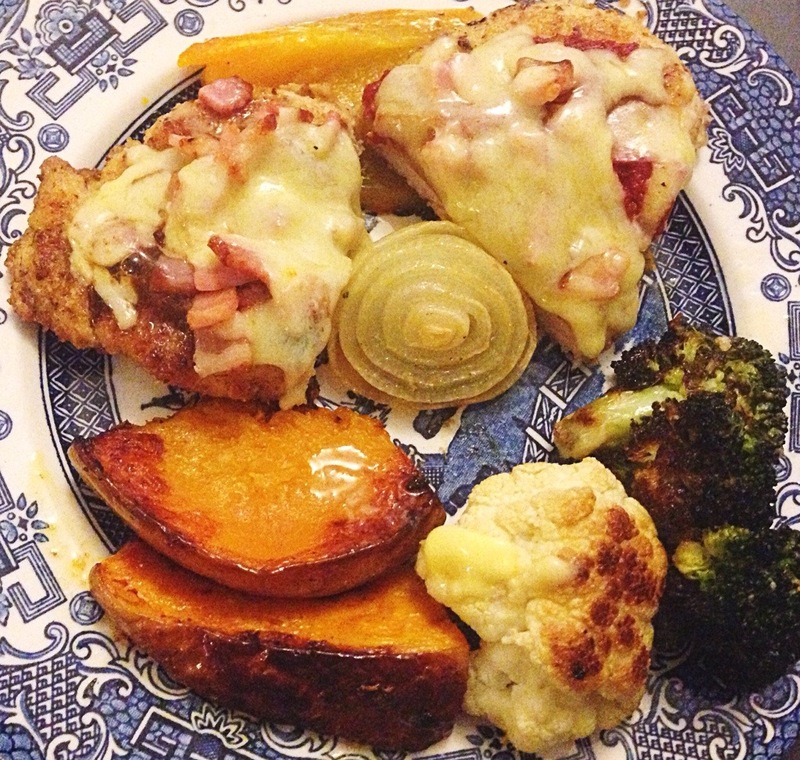 Finished in a hot oven these low carb Parmies were to die for! Served with roasted onion & pumpkin, grilled capsicum, baked cauliflower and broccoli in a honey butter glaze I am definitely a fan of this dish!